This is Holly. She lives in Santa Paula on a ranch. 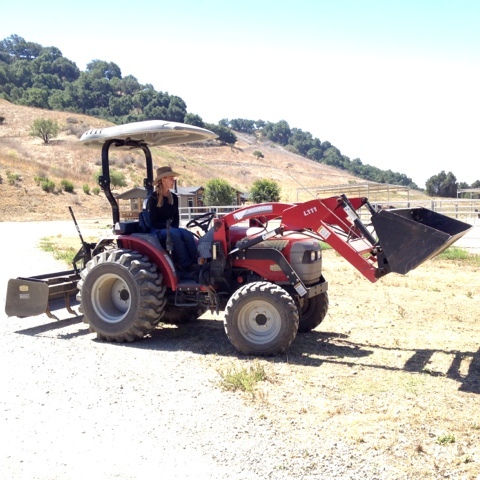 She’s beautiful, smart and friendly… We stopped on the road to admire her beautiful oak tree and chairs and she drove her tractor over to say hello. In a very short time we got to know each other… We love meeting people on the road.